Following on my posting about the noun rajas, notably in rajas con crema ‘poblano (pepper) slices with cream’, there’s some unfinished business involving the word poblano. One, recipes for this dish go back and forth between referring to the peppers as poblanos and poblano peppers. (Similarly in Mexican Spanish: poblanos vs. chiles poblanos). Some people judge the latter variants to be redundant, like Weimaraner dog instead of just Weimaraner. Two, where does the word poblano come from? Three, how does mole poblano, the sauce, fit into this picture. And four, what does any of this have to do with Spanish pueblo ‘town, village’, and the Pueblo communities of Native Americans in the Southwestern U.S.? Redundancy … or truncation? Both phenomena are attested. The dog name chihuahua comes directly from the name of the Mexican state of Chihuahua, so that referring to a chihuahua dog is, strictly speaking, redundant. But that doesn’t mean that this form of naming can’t be useful — especially in talking to someone who doesn’t know that chihuahuas are dogs, or only hazily recalls this fact. Redundancy is often conversationally useful. On the other hand, chihuahua referring to a type of cheese (in English or Spanish) is, at least historically, a conversion by truncation from Chihuahua / chihuahua cheese or queso chihuahua (named for its area of origin). But what of poblanos ~ poblano peppers or poblanos ~ chiles poblanos? These look like conversions by truncation, especially in Spanish, where poblano is an adjective agreeing with its head noun. Puebla…, officially Free and Sovereign State of Puebla … is one of the 31 states which, with the Federal District, comprise the 32 Federal Entities of Mexico. 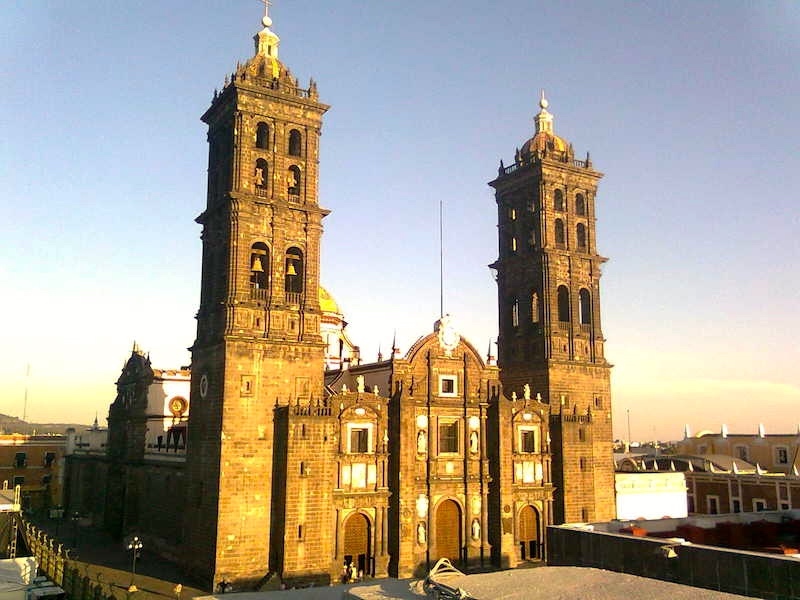 It is divided in 217 municipalities and its capital city is Puebla. … The state is located on the central highlands of Mexico between the Sierra Nevada and the Sierra Madre Oriental. … The origins of the state lie in the city of Puebla, which was founded by the Spanish in this valley in 1531 to secure the trade route between Mexico City and the port of Veracruz. … Culturally, the state is home to the China Poblana, mole poblano, active literary and arts scenes and festivals such as Cinco de Mayo, Ritual of Quetzalcoatl, Day of the Dead celebrations (especially in Huaquechula) and Carnival (especially in Huejotzingo). Construction began in 1575 and was completed in 1690. 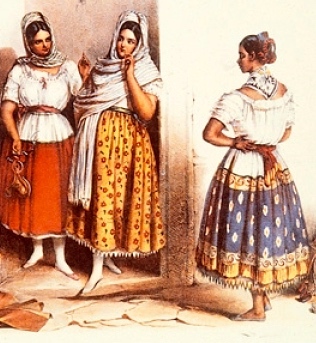 China poblana (or, Chinese Pueblan) is considered the traditional style of dress of women in the Mexican Republic, although in reality it only belonged to some urban zones in the middle and southeast of the country, before its disappearance in the second half of the 19th century. 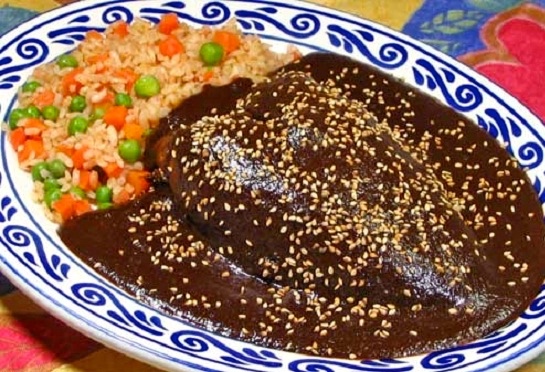 Mole poblano [identified with the state of Puebla] is the best known of all mole varieties and has been ranked as number one of “typical” Mexican dishes. It has also been called the “national dish” of Mexico. … Mole poblano contains about 20 ingredients, including chili peppers and chocolate, which works to counteract the heat of the chili peppers, but the chocolate does not dominate. It helps give the sauce its dark color, but this is also provided by the mulato peppers. This sauce is most often served over turkey at weddings, birthdays and baptisms, or at Christmas with romero over shrimp cakes. Another time when the sauce is prominent is Cinco de Mayo. While this holiday is not celebrated much in the rest of Mexico, it is a major celebration in Puebla. Pueblos are modern and old communities of Native Americans in the Southwestern United States. The first Spanish explorers of the Southwest used this term to describe the communities housed in apartment-like structures built of stone, adobe mud, and other local material. These structures were usually multi-storied buildings surrounding an open plaza. 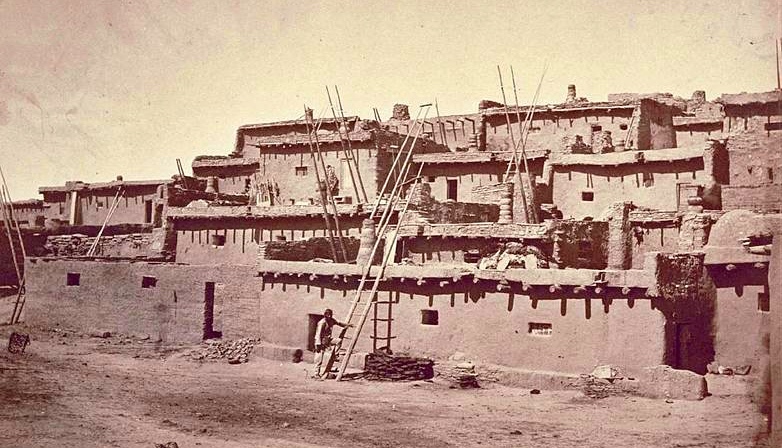 They were occupied by hundreds to thousands of Pueblo people, and were only accessible through a ladder able to be lowered only from the inside, thus preventing break-ins and unwanted guests. The word pueblo is the Spanish word for “town” or “village”. It comes from the Latin root word populus meaning “people” [or ‘nation’ or, better, ‘a people’]. So there’s the general noun pueblo ‘town, village’; a noun referring to these Southwest U.S. communities and their structures; and a noun referring to a member of one of the groups living in this fashion (a Pueblo Indian). This entry was posted on August 1, 2015 at 5:08 am and is filed under Language and food, Names, Redundancy, Truncation. You can follow any responses to this entry through the RSS 2.0 feed. You can leave a response, or trackback from your own site.